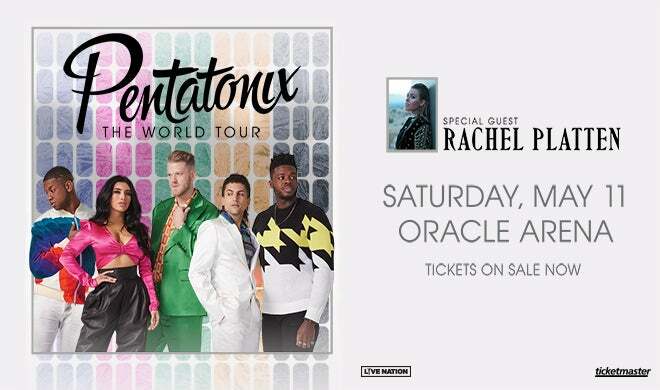 Three-time Grammy Award-winning and multi-platinum-selling artist Pentatonix have announced a 45-date tour produced by Live Nation to kick off their World Tour. Emmy Award-winning, multi-platinum-selling recording artist Rachel Platten will join as special guest on all dates. The North American dates will begin at Oracle Arena in Oakland, CA on May 11th. Tickets on sale starting Feb. 15th at 12 pm.